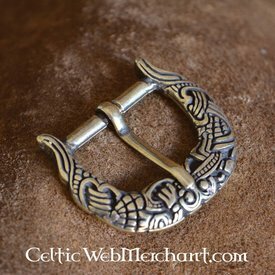 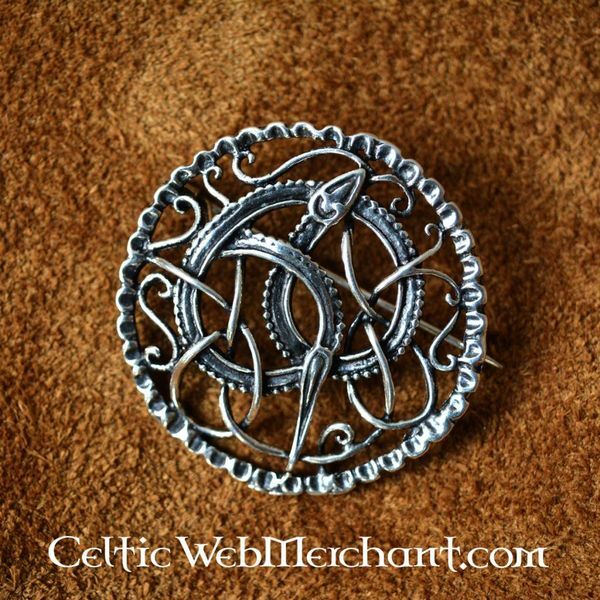 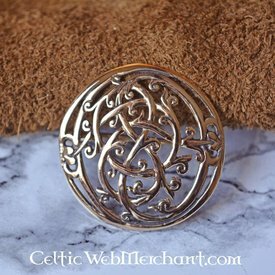 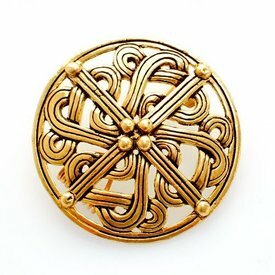 This Urnes style Viking brooch has a Midgard snake in the centre. 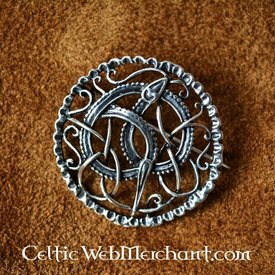 The Midgard snake could encircle the earth and grab its own tail according to the mythological tales. 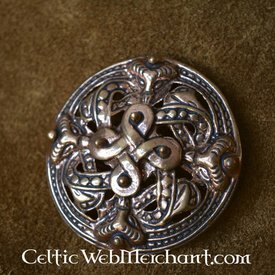 It was one of the children of the god Loki. 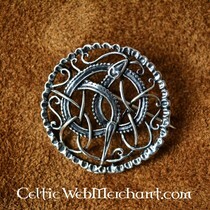 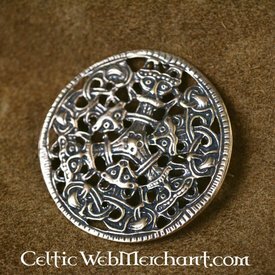 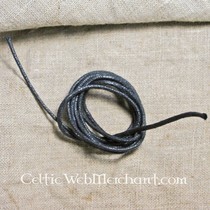 The diameter of this silver Viking brooch is approx. 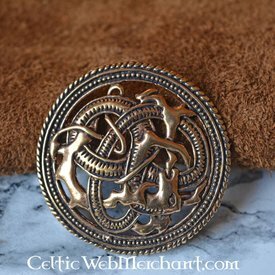 4 cm and it weighs 9,3 grams.